Let’s talk champions: splash art, balance, recommended items, and choosing a role. This week, let’s talk champions. How do you decide what position to make a new champion for? There is a wide range of reasons a champion ends up in a specific position. In the past, it has largely been driven by our attempt to give a wide-variety of roles and classes to players each year. We’d look at what champions we were currently doing big VGUs on, as well as what the last champions released were, and then make sure all players got new champs or VGUs in their role. Lately though, the number of champions has gotten so high that the demand of making unique and interesting mechanics has also risen. This has caused us to take a slightly different approach to selecting roles. We now start with an exciting or interesting design hook, such as “two champs specifically designed to have unique synergy,” and then after we validate it, we see what role it best fits in. 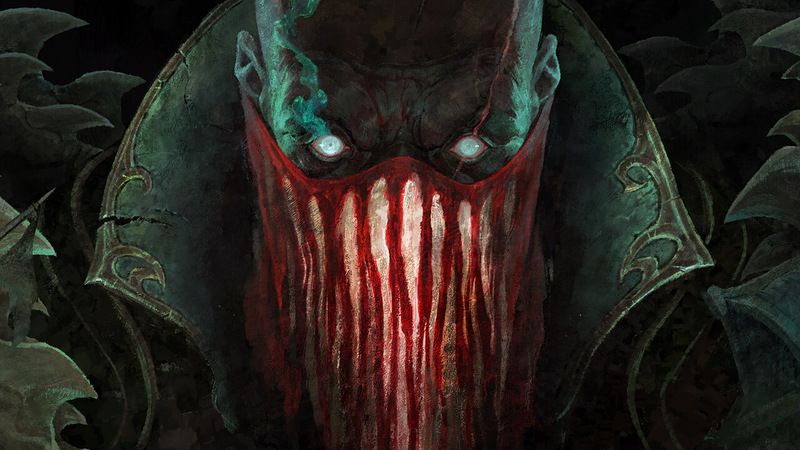 Pyke is a champion that came from this new process, although for him the design hook was a “Support Assassin,” so the role was implicit in the gameplay hook. You’ll see more champions in the future that started from this new process. That being said, we’d still try to make a champion for a specific role or class if we ever felt like a role was being neglected for a long period of time, since it always feels great to get a new champion in the role you play. When creating a new champ, how do you decide on the items on the recommended page in the shop? Recommended items are intended to guide players who are brand new to a champion. To that end, we typically recommend items that grant the most reliable access to the most common playstyles (we don’t tend to recommend off-builds). We also lean towards recommending simpler items that allow players to focus on the champion, which means we slightly lean away from active items. To determine which items are optimal, we not only run a ton of playtests with a wide-range of players and skill levels, but we also have high-rated experts on the playtest team that become specialists on each new champion. With dozens of games of experience, these aces find the optimal item combinations and can share that knowledge with players on release. Just curious, how long does it take you to create the splash arts of new champions and skins? As with many things it depends. Splashes can take anywhere from 3 weeks (of focused, heads-down time) to a couple months if it’s a high profile project with a long runway, like for base splashes or legendary skins. The average is 4 weeks, but that time isn’t spent exclusively painting. Most splash artists are also responsible for art-directing outsource artists (since there are only about 10 of us in-house, we need extra manpower to keep up with demand), providing hands-on paintovers for fellow illustrators on their splashes, and attending product meetings where we participate in the creative vision for champs and skins. Some artists are faster than others, but it’s been estimated that a splash usually takes 75–100 hours. When a champion becomes strong because of a recent buff (particularly on new champion releases), how come completely different things are sometimes nerfed instead of just reverting the buff? Whenever we buff or nerf a champion, we try to do so in ways that better accentuate the strengths and weaknesses of that champion—we call this “sharpening.” If we give a champion some power that ends up moving them too far and requires follow-up nerfs, unless it’s obvious that we REALLY overshot, our preference is to pull out power from aspects of a champ’s kit or base stats that better carve out a weakness. In doing so, we avoid moving towards a roster of generic champions that don’t have unique reasons to pick them. Looking at Aatrox as a recent example, after release we shipped some buffs that adjusted the size of his Q hitbox after evaluation and feedback that he was too inconsistently getting his combos off. His Q is key to his identity as an early lane bully, so when it proved that he was TOO strong, we opted to nerf the damage of the ability (rather than revert him to a state where the Q would once again be too inconsistent) so that he could still perform in lane, but just not hit quite as hard. We also nerfed his base HP so that high-mobility champs who can better dodge and navigate around his combo could more successfully trade with him.